The PUBG Xbox revival fix arrives just in time for Easter. PUBG Xbox Patch 10, which was announced last week, is alive and well. Patch 10 is meant to exterminate some bugs that crept up after Patch 9 was applied. Neverending Story, thy name is video game patches. You can find the patch notes on the official PUBG forum. 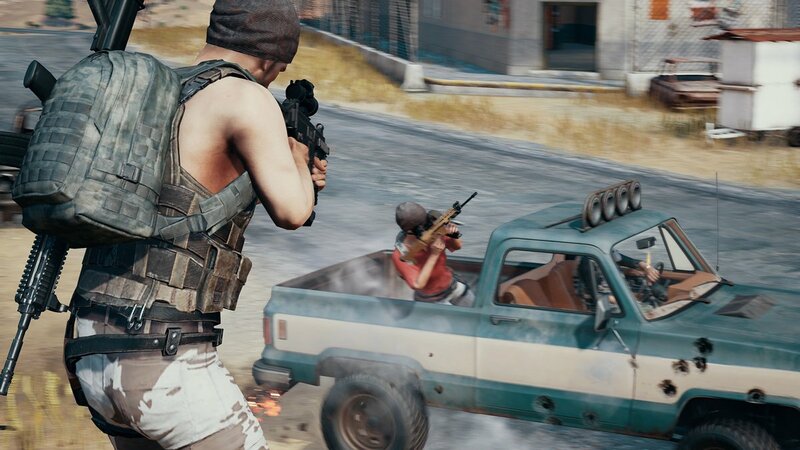 Here's what's been sewn up, according to PUBG community coordinator "PUBG_Hawkinz:"
Pictured: A pleasant Sunday drive about to come to an abrupt end. There's still one issue that's in need of a good squashin', though: "Pressing the (B) button while in the Settings menu will cause the player to exit the plane." So, y'know. FYI. This bug-smash is a small update compared to what PUBG Corp has planned for the Xbox game's future. Future updates are supposed to enhance performance and (finally) bring the Miramar map to consoles. The PC version of the game is also in line for major updates to help it fight back against the encroaching threat of Fortnite Battle Royale's rising popularity.